Longview is a privately owned vineyard in the southern fringes of the Adelaide Hills, at Macclesfield. Known as an outstanding weekend destination, we’re bringing the taste of Longview vineyards to you! Alongside typical cool climate staples such as Sauvignon Blanc and Chardonnay, Longview has gained a reputation for producing outstanding examples of varietals that originate in northern Italy. Nebbiolo, Barberra and Pinot Grigio are perfectly at home in their undulating vineyards and produce a range of wines that are outrightly delicious! The best way to serve Italian inspired wines is with an Italian inspired feast! 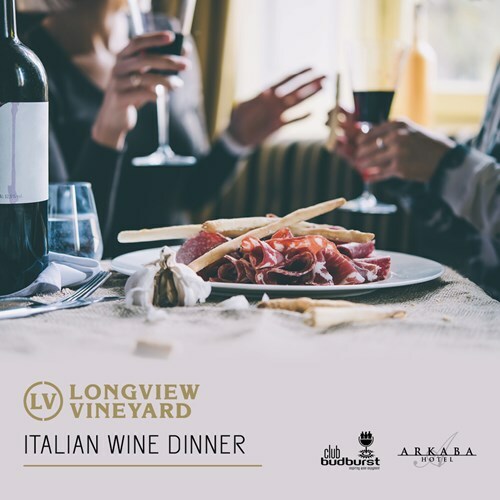 Join us for a delicious four course Italian inspired menu matched with six Longview wines. Wines will be available to order on the night at special event pricing.